SALE 30% OFF - Normally $50, now only $35! One of a kind whipstitched bronc noseband for horse halter. 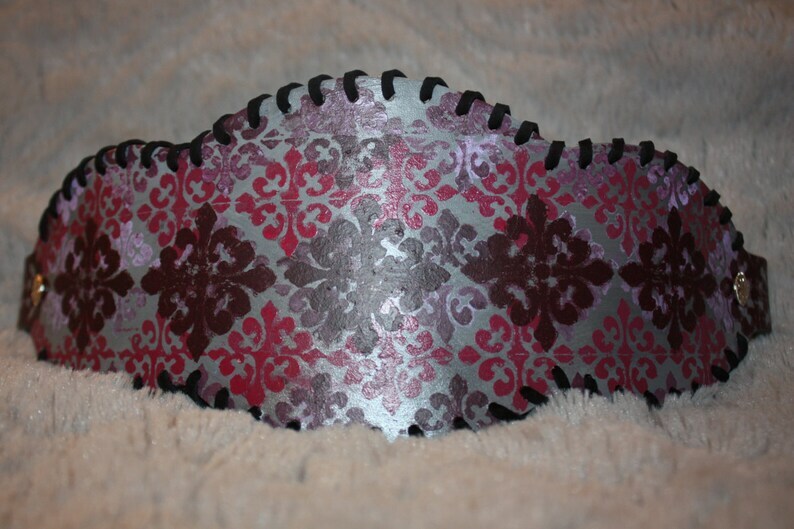 Beautiful hand painted leather noseband with grey background and victorian design is shades of pink and purple. Every aspect of this halter is high quality products that are durable and will last. Fits the horse great and bends with curve of nose. Does not come on halter incase you are particular about what size and style halter for your horse, but item can be placed on a standard black halter for an additional cost. Initials or name can be added at no charge! Just place note about what you would like to add when ordering.